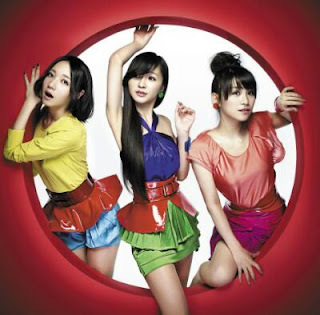 POP FROM ALL ANGLES: Perfume - "Spice"
It figures the day I'm finished typing up my Year End List, Japan's Perfume swoops in with their latest single, "Spice," and lifts me to pop heaven. Two days later and I've probably listened to this song 300 times. Seriously. It's why here at W.O.W. love the plasticity and sheer future-forward sonics of Britney Spears, Tove Styrke,HyunA and to a lesser extent, even Ke$ha and Rihanna. Perfume have been at the J-Pop game for a spell, but JPN, their first album in four years, has simply come out of nowhere and raised the bar in the pop park. Autotuned, maximal, brimming with 8-bit bleeps and candy-coated arpeggios -- this is something you need to hear in surround, in widescreen, everything ping-ponging around the room. Being stuck in a pachinko machine. I think I've used that analogy before, but it's most fitting here. Maybe it's the cold war between with K-Pop that has raised Perfume to this entirely new level?